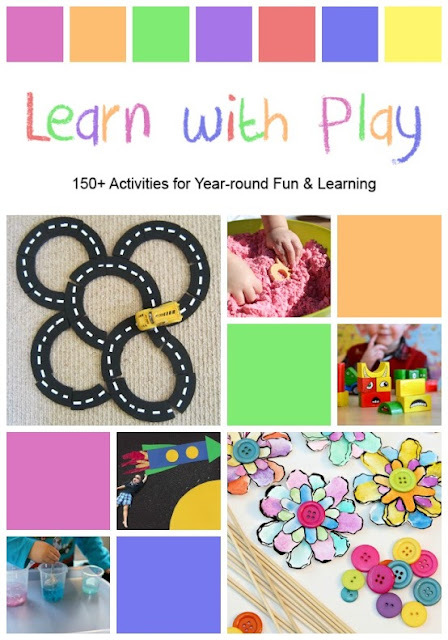 Mini Monets and Mommies: Learn with Play: 150+ Ideas for Year-round Fun & Learning Book Release! 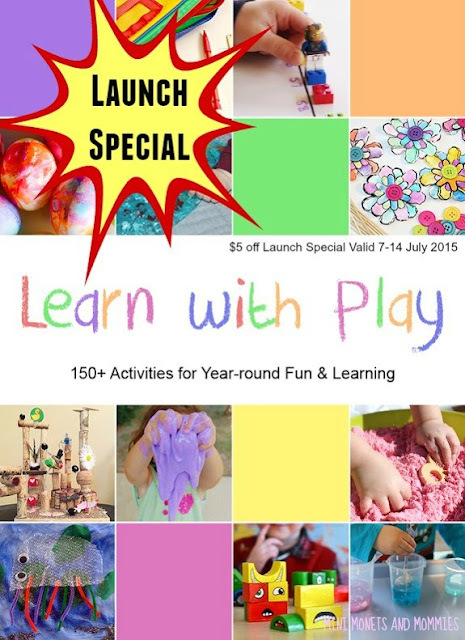 Learn with Play: 150+ Ideas for Year-round Fun & Learning Book Release! 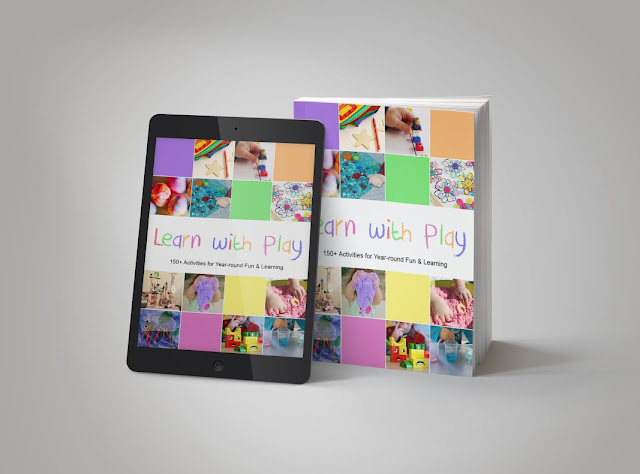 I’m super-excited to announce the release of the new book Learn with Play: 150+ Ideas for Year-round Fun & Learning. Ok, so I’ am included in the book. But, it’s filled with more than 150 (obviously, based on the title) ideas, activities, projects, lessons, crafts and artsy adventures by some of the best bloggers out there. Seriously. The 94 co-authors from the Kid Blogger Network are all imaginatively awesome when it comes to creating kids’ activities. I’m pretty picky when it comes to big books like this. Between having my own child, teaching preschool-aged kids and teaching art classes, I’ve browsed quite a few crafty compilations. This one takes the cake. The ideas intelligent, creative and pure fun! What will you find in Learn with Play: 150+ Ideas for Year-round Fun & Learning? All kinds of cool stuff! 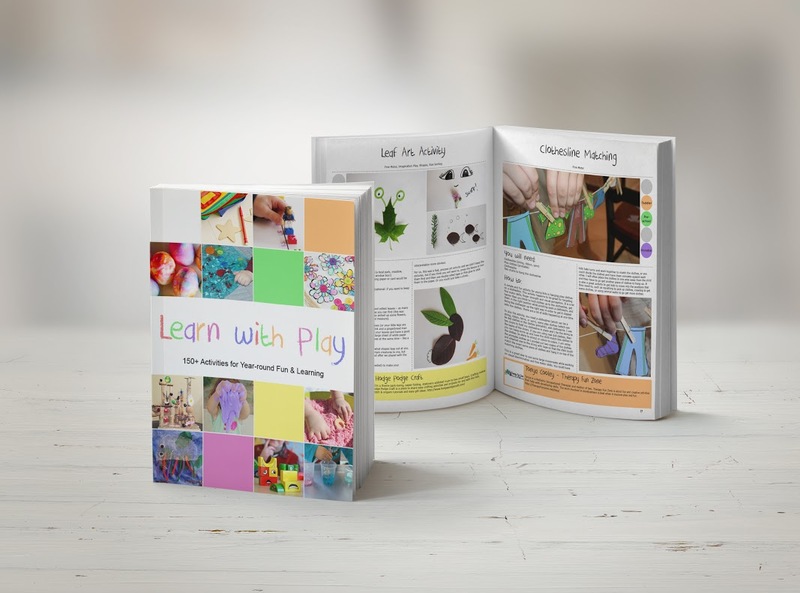 It includes sensory play, fine motor, arts and crafts, holiday projects, science, math, literacy, life skills, imaginative play and even area organization. Why get this book? I know, I know. There are enough kids’ activities books out there to fill every bookshelf in your home. But, this one is special. The bloggers who co-authored it comes from a variety of backgrounds (and from all over the world), all adding their unique skill sets to the ideas. The activities are all hands-on, with detailed how-to steps and materials lists. The activities also bridge a wide range of ages. You’ll find ideas for babies, toddlers, preschoolers and kindergarten kids! Where can you get it? You can get a regular old-fashioned print copy, a Kindle edition or choose the ebook version. If you’re going with the ebook, during the first week of the release we’re offering a $5 discount, making it $9.95 (starting July 7, 2015). · Print copies are available from Amazon for $29.95. · The Kindle edition is also available on Amazon and is $14.95. · The ebook’s regular price is $14.95 (this is the price after the initial launch week).